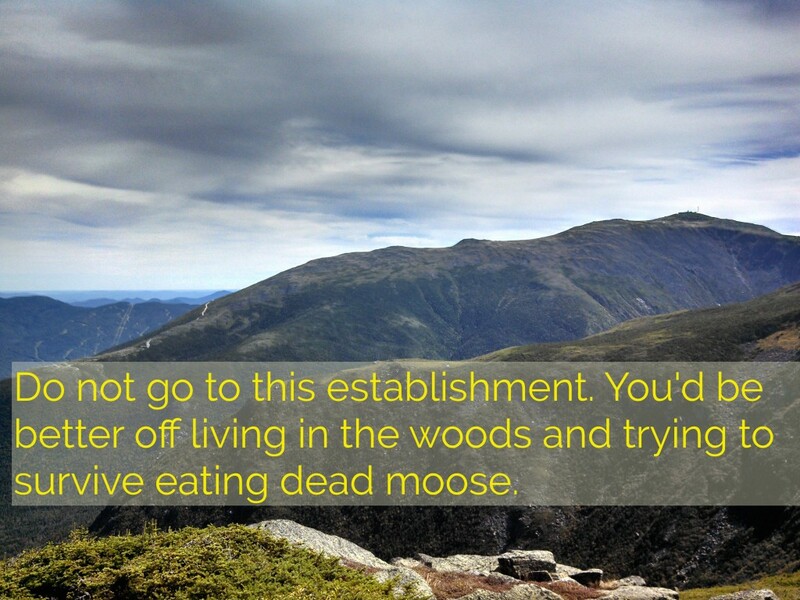 Recently, when I was sitting in Carter Notch Hut in – well, Carter Notch – I noticed a sign bearing the ubiquitous logos of trip advisor and yelp, and I realized that people actually must ‘yelp’ about these iconic landmarks in the White Mountains. 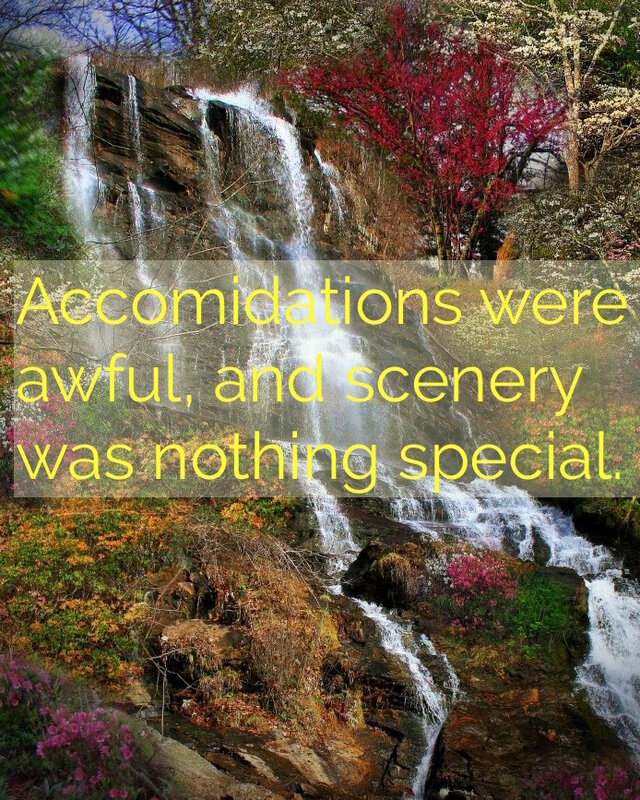 I started to wonder what else people yelp about – what other natural, uncontrollable environments do tourists rate as though they were a restaurant or a hotel? 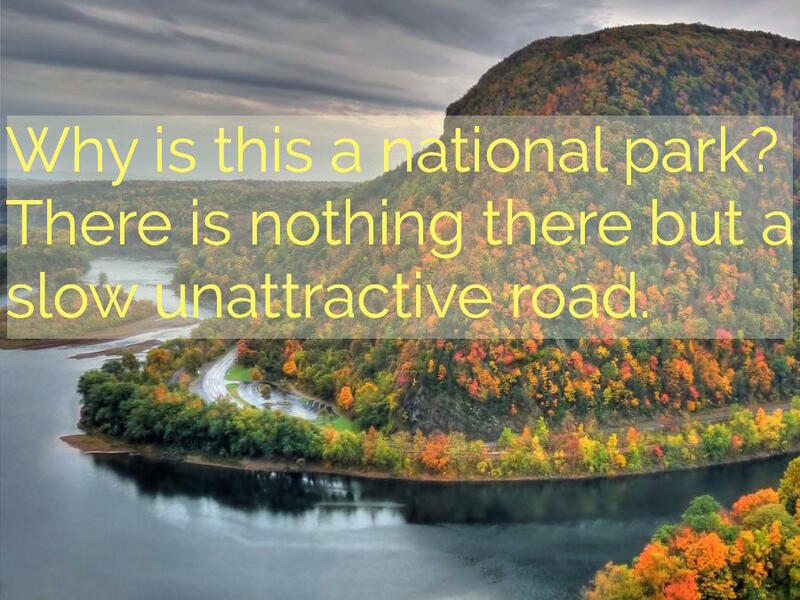 I saw the one-star National Park reviews online and loved it, so I thought: why not a one-star trip review for the Appalachian Trail? 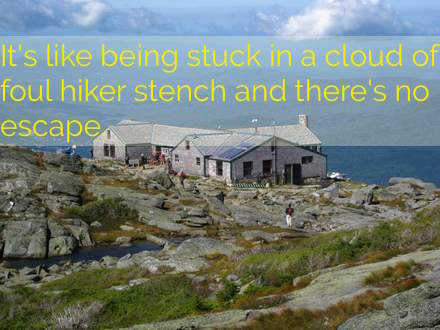 This way, hikers can be warned ahead of time about the true peril of the AT: poor service. All spelling and grammatical errors have been retained to set the tone of the review, and there might be a few 2 and 3 star reviews mixed in here that I couldn’t bring myself to pass up. I would like to thank yelpers everywhere for writing this article for me. 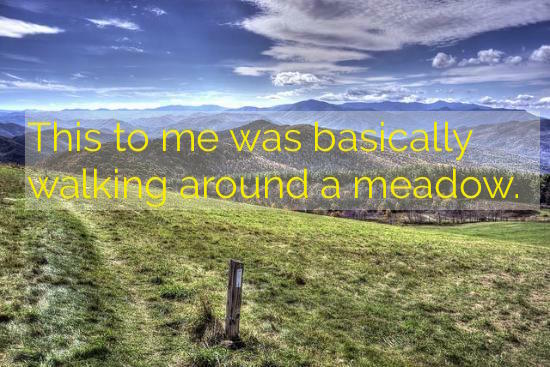 I would also like to thank the internet for the following pictures, because when I try to photograph a beautiful view my depth perception fails and my hands turn into flippers, leaving me to flop against my touch screen like a manic seal. 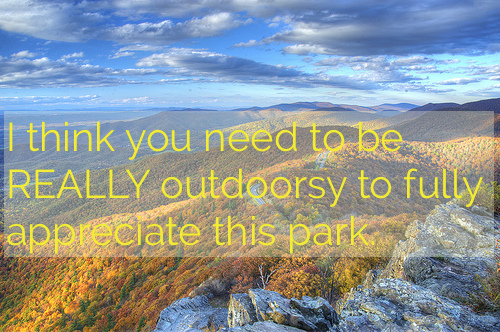 Amicalola Falls State Park – Don’t expect the beginning of your thru-hike to be anything special. 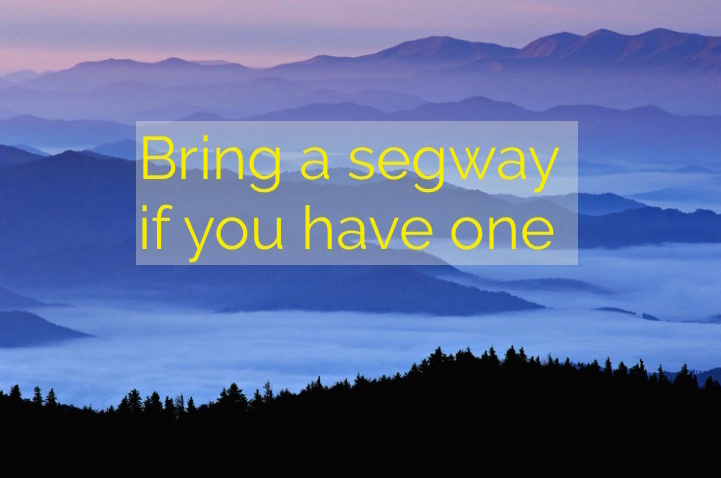 Max Patch – bring your livestock here! 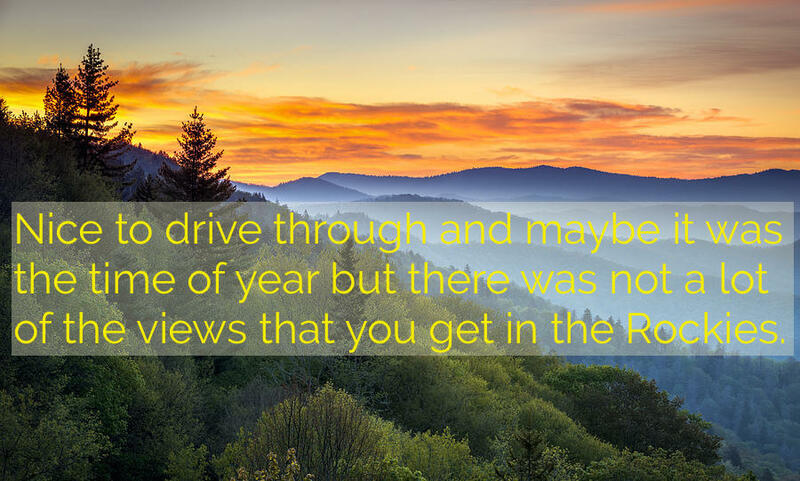 Roan Mountain – Don’t waste all that energy driving up there when you could go to the Rockies right next door. 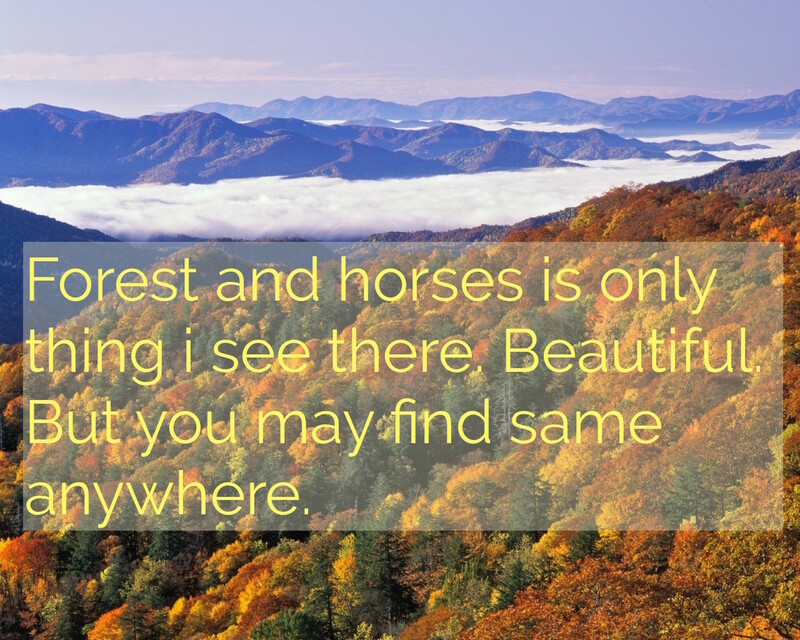 Grayson Highlands State Park – That’s strange… where is this coming from?? 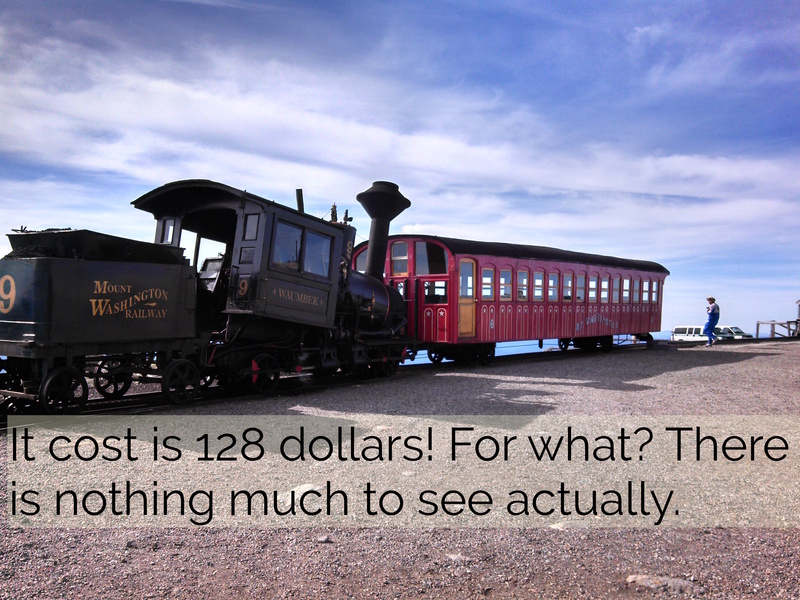 The Mount Washington Cog Railroad – Just a bunch of ugly mountains. 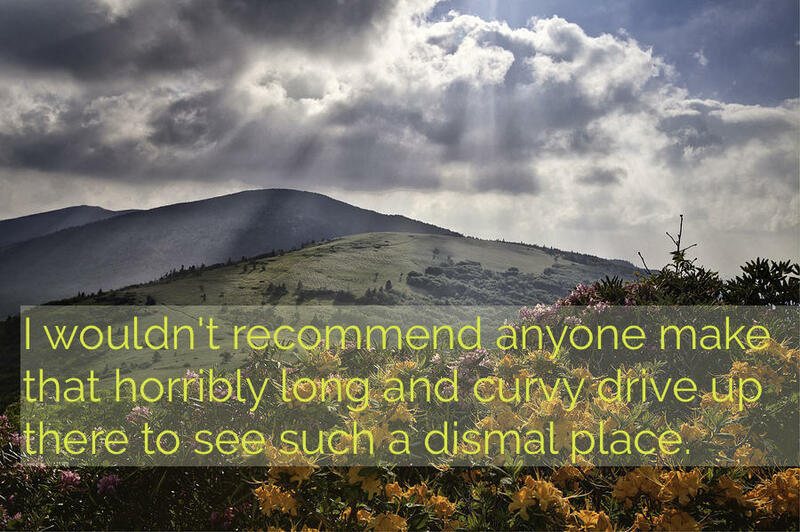 I hope you’ve enjoyed this edition of the Appalachian Trail’s one-star reviews! Don’t forget to put in your own two cents the next time you find your shelter doesn’t have wifi, or your hostel owner forgot to leave you a mint. 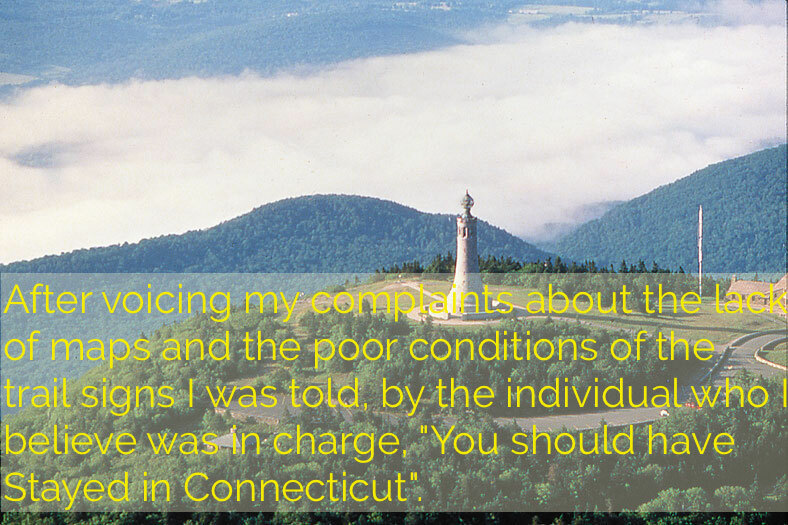 We can change the service of the AT, one review at a time! lol! I guess the AT isn’t for everybody. If it wasn’t just so incredibly funny it would be sad reflection of some people. Thanks for a great laugh! 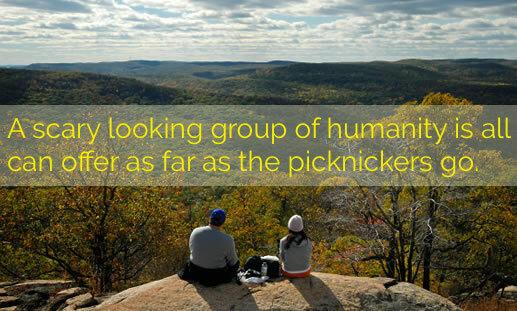 That was one of the funniest things I’ve read about the AT! Thanks Chuckles. Very apt! 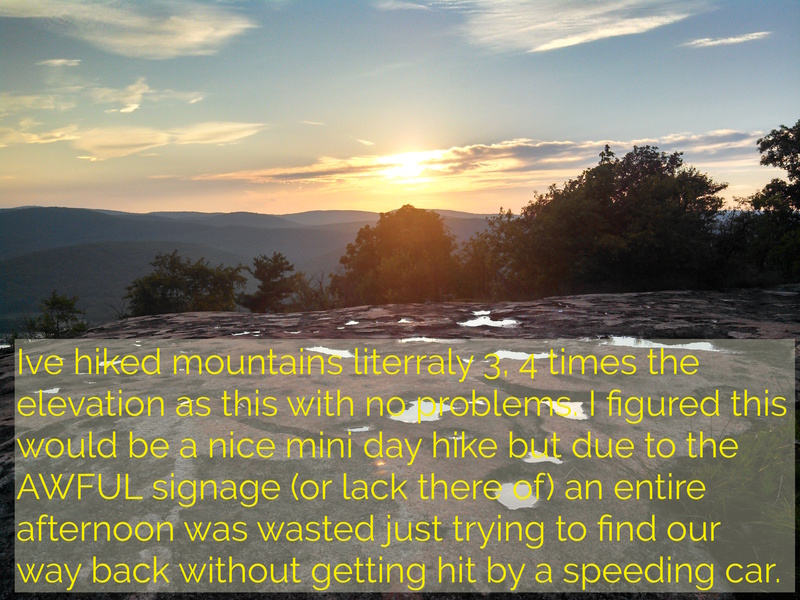 Surprised no one commented on the Mt. Rodgers Visitor’s Center Pizza delivery service to Partnership Shelter.